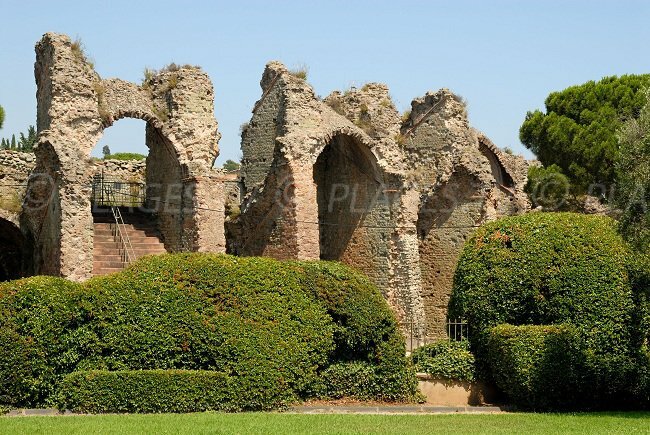 Founded by Julius Caesar in 49 BC, the seaside resort of Frejus was primarily a great military port before becoming a city of art and history. Located between Saint-Tropez and Cannes, it offers an ideal location on the French Riviera and offers some of the best beaches in the Var. The peace of the city and its charm seduce the many tourists every year, curious to learn more about its medieval centre. Start your visit by the Formagé square where stands the Cathedral of Saint-Léonce and the City Hall, a former bishop's palace which has now donned the colours of Provence, a pale orange that brings warmth to the place and blends in beautifully with the houses of the small streets nearby. The cathedral, which dates from the twelfth century, its baptistery of the fifth century and the cloister are among the treasures of the city. Study well the painted woodwork in the ceiling before continuing in the city centre, next to the church of Saint-Maximin, the Roman ruins scattered nearby and the amphitheatre which still hosts many summer events. Quite surprisingly, you can also visit the Chinese pagoda, the Sudanese mosque or the memorial of the Indochina war. While visiting the city, linger in the market that takes place in the historic centre: cheese, olive oil, honey, jams and cold meat, hard to remain indifferent to such delights! To go further in the discovery of gastronomy, a visit to the vineyards may be a good idea! Ideal for discovering the local wines of the Maures and Côtes de Provence! 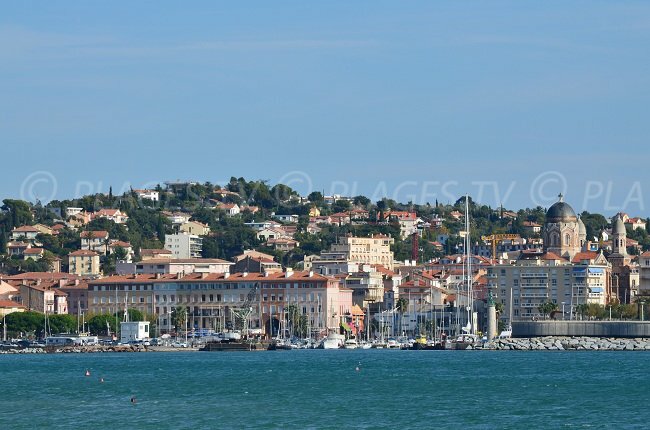 The town of Fréjus has a beautiful coastline which it shares with St. Raphael. Seven kilometres of beaches welcome holidaymakers (Boucharel, Galiotte, Pébrier, Saint-Aygulf and Fréjus-Plage), from Saint-Aygulf to Saint-Raphaël, but if you prefer the rugged charm of the coves, the coastal footpath will take you on a 2.5 km rocky walk (Santa Lucia to St Raphael and Fournas), there are lots of places to stop and admire! 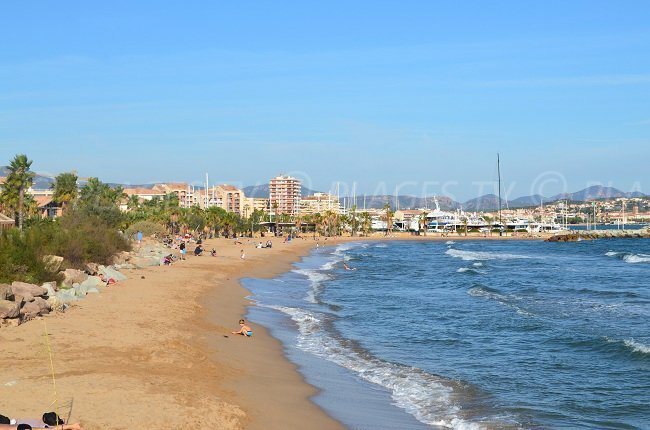 In the centre of Frejus, the beaches of the Nature Reserve offer greenery with beautiful stretches of sand. 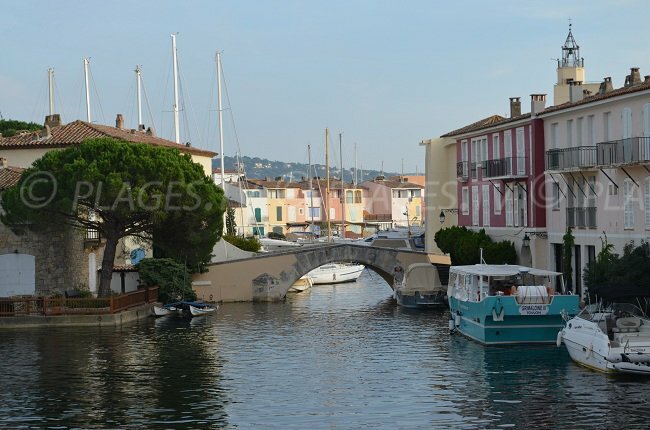 For the evening entertainment or to find a restaurant, go to Port-Fréjus with its modern architecture and its many summer residences. If you prefer walking to sunbathing, visit the Esterel massif! Many villages are there to be discovered on the Massif and the view from the coastal road is breath-taking! 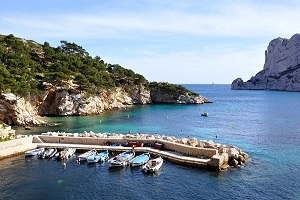 It reveals beautiful coves of red rocks and leads to the village of Agay, between Saint-Raphaël and Théoule-sur-Mer. You can make a walk around the Dramont landing beach, guaranteed a great view from the lighthouse and the Ile d'Or. If time allows, you can explore Grimaud (small picturesque streets lined with bougainvillea) or Port-Grimaud with its canals in the city, Seillans and its medieval ruins and Gassin among the most beautiful villages in the area (beautiful view of the bay of Saint-Tropez and the surrounding hills and a lovely stroll on the Dei Barri Promenade). 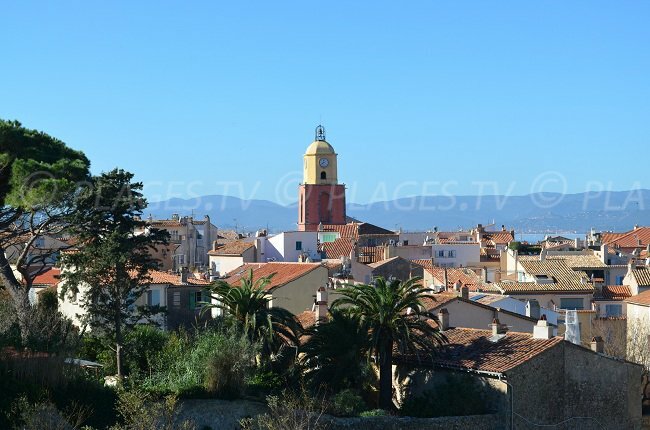 Plenty of attractions in Fréjus and around, making it an ideal holiday destination!